Four decades ago the University of Newcastle’s Foundation Dean of Medicine, Professor David Maddison, was promised a free hand to create an innovative medical program. In 2018 the University of Newcastle’s pioneering medical program, the first degree in medicine to be established in a non-metropolitan Australian university, and the first to adopt a problem-based learning approach, celebrates 40 years of delivery. 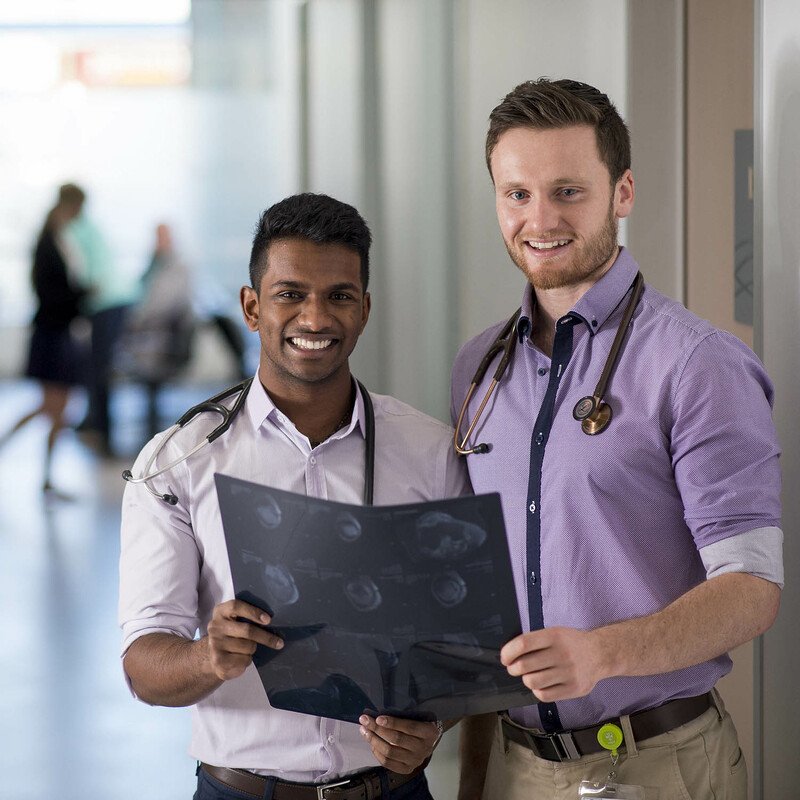 Respected for its game-changing focus on problem-based learning, teaching of patient-centred medicine and innovative admissions process, the medical program continues to attract a diverse group of students who are willing, and capable, of driving excellence in health care. Pro Vice-Chancellor Health and Medicine, Laureate Professor John Aitken said the University of Newcastle’s community of more than 2800 medicine graduates could be found throughout Australia, and the world, improving health care delivery through their committed work in clinical practice, community outreach, research and philanthropy. “The University of Newcastle is extremely proud of our medical program’s strong history and our commitment to delivering cutting-edge medical education to the next generation of doctors. “This important anniversary is an opportunity to celebrate our achievements so far, and to reaffirm our continued commitment to excellence and equity, and to diversity in health and medical education,” Laureate Professor Aitken. This year also marks the 10th year of the establishment of the Joint Medical Program (JMP), delivered in partnership with the University of New England, and in collaboration with the Central Coast Local Health District and the Hunter New England Local Health District. The partnership resulted in Australia’s first Joint Medical Program, designed to better address the medical workforce shortages in rural and regional Australia. The program addresses the critical health delivery issues that face the nation by providing opportunities for students to gain rural clinical experience during their studies and encouraging students to practice in rural areas. Head of the School of Medicine and Public Health, and Dean of the Joint Medical Program, Professor Brian Kelly, said the University of Newcastle was a trailblazer in changing the approach to medical program education including new methods of student selection with emphasis on the desirable personal qualities of future doctors; with a focus on improving access to medical schools; and focusing on community needs. Professor Kelly said diversity and inclusion had become the cornerstone of the University’s medical program. The JMP now boasts six clinical schools including large metropolitan hospitals in Newcastle and the Central Coast, regional and rural centres in the lower Hunter, Tamworth, Armidale, Taree, Moree and primary care settings across the Upper Hunter, New England and the Central Coast. “From our Foundation Dean, Professor David Maddison revolutionising medical school admission to the establishment of Australia’s only jointly delivered medical program, we aren’t afraid to do things differently if it means the best possible outcome for our graduates and ultimately the communities they serve,” Professor Kelly said. Laureate Professor Aitken said the 40th anniversary of the medical program was an occasion to pay tribute to those who had paved the way for its success. “We take this opportunity to reflect on the confidence and hard work of those at the University of Newcastle who took a risk in launching a medical program, which continues to be successful today. As part of the celebrations, the University is hosting an equity in medicine public lecture series throughout the year addressing issues such as gender equity in the health and medical professions; service provision in rural and remote communities; and Indigenous health and well-being.